Although social and emotional learning may be intended to empower students, many elementary students in these programs learn to equate leadership with obedience. Recent years have seen a renewed interest in social and emotional learning (SEL) to promote well-rounded student success (e.g., Duckworth & Seligman, 2005; Seider, 2012; Tough, 2011, 2012). Indeed, the most recent issue of Phi Delta Kappan included a comprehensive examination of four SEL meta-analyses reporting on a host of positive outcomes for students, further validating the importance of social and emotional learning in schools (Mahoney, Durlak, & Weissberg, 2018). Programs may advertise certain outcome claims, many of them supported by research, and teachers may perceive initiatives as having notable outcomes, but how do students themselves experience these programs? If we do not genuinely listen to students, our picture of SEL’s value will be incomplete. From 2013 to 2017, I studied a large SEL organization that currently has programs in place in several thousand schools and that aspires to foster social and emotional learning and youth empowerment in participating students. The study involved nearly 1,000 4th and 5th graders attending 12 schools in urban, suburban, and rural districts across three states. Interestingly, interviews with teachers and students revealed very different perspectives. These differences are instructive in highlighting best practices for carrying out SEL initiatives beyond this particular program, and specifically in highlighting the importance of listening to students. It definitely has changed the way I think about the consequences that I give . . . I’m a very like, controlling person. So I made it different, it’s like, “You guys work it out.” [Before,] I wasn’t giving them enough credit. I was like, they’re 10 and 11, they can’t do this. And that’s not true. They have way more social skills than we think. It’s just the simple idea that every single student is gifted. And that it’s kind of our job as professional educators to reach in there and pull that out, and then hold it up in front of them. So they’re forced to recognize their gift and to use it. And so it’s just an empowering thought for our students who often, especially here with this demographic, often don’t have a lot of control. There are a lot of factors in their lives that they can’t control. So it’s so empowering for them to take control of their learning, and their behavior, and it’s, you know, it’s just a really powerful program for them. Ms. Becker believed that the program inspired her to acknowledge her students’ strengths, and, in so doing, empower and encourage them to take ownership over their own learning. Indeed, 10 of the 12 educators interviewed spoke of ways they felt the program gave students more agency, control, and leadership. ABEL: They don’t be a follower. INTERVIEWER: Are there ways that you try to be a leader in your class? INTERVIEWER: Yeah? Like what do you do? ABEL: To, uh, like be quiet. INTERVIEWER: What does it mean to you to be a leader? Like what is something a leader does? GUADALUPE: Uh, nice? Um, don’t get angered as easily, and patient? GUADALUPE: Um, I’m always telling everybody to be quiet. Overall, 22 of 36 students spoke of the program in terms of compliance at some point in their interview. While clear and consistent rules and expectations are baseline needs for safe and effective schools (e.g., Jones, 2007; Simonson et al., 2008; Wentzel, 1993), these students’ obedience-based definitions of leadership are surprising given the program’s emphasis on youth empowerment. Although some students, such as Angela and Guadalupe, spoke of getting others to behave, I saw their responses as being more about compliance than about being an empowered role model. When students view leadership and compliance as synonymous, these same young people can hardly perceive themselves as empowered. Importantly, all the schools in the study serve predominantly low-income youth of color, adding a critical layer of concern to the findings, and revealing key lessons for educators. Quantitative analyses further reinforced students’ interview responses. Surveys were administered to 982 students at the beginning and end of the 2014-15 school year, measuring their sense of empowerment and voice and their capacities in areas of social and emotional learning aligned with the Collaborative for Academic, Social, and Emotional Learning’s (CASEL’s) five competencies — self-awareness, self-management, social awareness, relationship skills, and responsible decision making. Students attending the SEL schools demonstrated lower scores at the end of the year (controlling for their scores in the fall) on 9 of the 13 survey measures than students attending matched comparison schools in the same districts (the differences on the other four measures were not statistically significant). There are a few factors, such as student confusion and inconsistent implementation, that may have contributed to these negative survey results, but analyzed in concert with the qualitative interviews, one likely explanation is student disillusionment. How can schools resolve this tension between teacher intent and student experience? These three recommendations can help schools ensure that their SEL programs aren’t merely teaching students to follow the rules. As educators, we must clarify our purpose for bringing SEL initiatives into schools: Is our goal to nurture the whole child, or is it to give students just the tools they need to foster academic success? If we are committed to educating the whole child, then SEL is a valuable way to cultivate complex human beings in diverse contexts often deeply intertwined with histories of racism, classism, and inequality. Although it is absolutely critical for students to be socially responsible in their classrooms and to be good citizens, SEL programs have a larger purpose than merely creating compliant children who may be afraid to use their voices — especially if those children are from historically marginalized communities. An approach to SEL that focuses solely on academics may view students from more of a deficit perspective, judging students to be lacking and needing to be improved. Intention matters. Teachers’ and administrators’ emotions, competencies, histories, fears, and reactions can often impede reform. For example, veteran educators may feel as though they are novices again when asked to try new programs and will often unintentionally attempt to fit new techniques into old ways of doing things as a coping mechanism (Evans, 1996). Similarly, when unclear on the deeper purpose and outcome of a reform, teachers will sometimes make surface-level alterations without truly understanding the importance of a significant change (Cohen, 1990; Evans, 1996; Green & Hauser, 2009). This phenomenon is sometimes referred to as “false clarity” (Evans, 1996; Fullan & Stiegelbauer, 1991, p. 70) and is exemplified in David Cohen’s (1990) qualitative case study of a teacher who proudly explains how she has implemented a new math program, while the researcher perceives her practices to be ineffective and virtually unchanged. Even if most teachers are deeply committed to promoting student leadership through SEL, change can be difficult if these same teachers are pulled in multiple directions by various constituencies, such as students, parents, district demands, curriculum, program expectations, and even personal commitments within their own lives (Evans, 1996). It is also important to note that efforts to foster authentic social and emotional learning and youth voice often are in deep conflict with the hierarchical nature of schools (Freire, 1970/2000; Morrell & Duncan-Andrade, 2008; Shor, 1992; Silva, 2003; Silva & Rubin, 2003). Most SEL programs do not claim to require foundational restructuring in the schools in which they are adopted but instead suggest that social and emotional learning and youth empowerment can be fostered within the existing system (e.g., Quaglia & Corso, 2014; Weissberg et al., 2015). The conflict between youth empowerment and a highly regulated school structure poses critical tensions for SEL initiatives and for the teachers attempting to implement them. If teachers neglect to address this tension explicitly, they can (whether intentionally or unintentionally) end up making only surface-level changes. For teachers to be truly on board with a program, they must be willing to change their practice in more significant ways if necessary. Finally, and most important, student perception matters. Well-intentioned youth voice efforts can fail if implemented inauthentically and without regular self-reflection (e.g., Levinson, 2012; Quaglia & Corso, 2014; Quiroz, 2001; Silva, 2003; Silva & Rubin, 2003). Teachers and schools must deliberately plan for how to avoid such pitfalls as quick dismissal of student voices and prioritization of privileged voices (Silva, 2003). One recommendation for more effective and authentic change is the adoption of action-reflection cycles (e.g., Freire, 1970/2000; Dobbs, Ippolito, & Charner-Laird, 2017) aimed at evaluating student outcomes, gauging student perceptions, supporting teachers through resistance to change, and establishing an awareness of — and active preparation for — inherent power dynamics in schools. These steps in this process include “defining an inquiry question or topic; building background knowledge and drawing on experts; collaborative idea generation; individual ‘idea testing’; shared reflection and idea revision” (Dobbs et al., 2017, p. 35). Faculty and students could engage in formalized inquiry cycles to address questions such as, “Are students being authentically empowered?” and “Are teachers really extending leadership opportunities to all students?” and “Are empowerment efforts just surface level?” and “How is social and emotional success really defined at our school?” These practices are especially helpful when outcomes are not clearly defined and solutions to reach those outcomes are not clearly delineated (Heifetz et al., 2009). While this work is typically done with teachers and teacher leaders, it can include student voice as well. When students are encouraged to speak up but are ignored, or when schools and teachers listen disingenuously, young people can be left feeling disillusioned and disempowered. SEL programs have enormous potential to support student success across a range of outcomes, but we must be mindful of student voices to accurately measure how well these initiatives are truly achieving their stated goals. If SEL programs are operating within traditionally structured schools, educators must plan strategically for how to work around and ultimately against entrenched systems that may deprioritize student empowerment, or even promote student compliance over student leadership. Listening to the students is a crucial place to start. Cohen, D.K. (1990). A revolution in one classroom: The case of Mrs. Oublier. Educational Evaluation and Policy Analysis, 12 (3), 311-329. Dobbs, C.L., Ippolito, J., & Charner-Laird, M. (2017). Investigating disciplinary literacy: A framework for collaborative professional learning. Cambridge, MA: Harvard Education Press. Duckworth, A.L. & Seligman, M. (2005). Self-discipline outdoes IQ in predicting academic performance of adolescents. Psychological Science, 16 (12), 939-944. Evans, R. (1996). The human side of school change: Reform, resistance, and the real-life problems of innovation. San Francisco, CA: Jossey-Bass. Freire, P. (1970/2000). Pedagogy of the oppressed (30th Anniversary Edition). New York, NY: Continuum. Fullan, M. & Stiegelbauer, S. (1991). The new meaning of educational change. New York, NY: Teachers College Press. Green, A. & Hauser, J. (2009). Managing to change the world: The nonprofit leader’s guide to getting results. Washington, DC: The Management Center. Heifetz, R.A., Grashow, A., Linsky, M. (2009). The practice of adaptive leadership: Tools and tactics for changing your organization and the world. Cambridge, MA: Harvard Business Press. Jones, F. (2007) Tools for teaching (2nd ed.). Santa Cruz, CA: Fredric Jones Associates. Levinson, M. (2012). Diversity and civic education. In D.E. Campbell, M. Levinson, & F.M. Hess (Eds. ), Making civics count: Citizenship education for a new generation (pp. 89-114). Cambridge, MA: Harvard Education Press. Mahoney, J.L., Durlak, J.A., & Weissberg, R.P. (2018). An update on social and emotional learning outcome research. Phi Delta Kappan, 100 (4), 8-13. Morrell, E. & Duncan-Andrade, J. (2008). The art of critical pedagogy. New York, NY: Peter Lang Publishing, Inc. (pp. 49-67). Quaglia, R.J. & Corso, M.J. (2014). Student voice: The instrument of change. Thousand Oaks, CA: Sage Publications. Quiroz, P.A. (2001). The silencing of Latino student “voice”: Puerto Rican and Mexican narratives in eighth grade and high school. Anthropology & Education Quarterly, 32 (3), 326-349. Shor, I. (1992). Empowering education: Critical teaching for social change. Chicago, IL: The University of Chicago Press. Silva, E.M. (2003). Struggling for inclusion: A case study of students as reform partners. In B.C. Rubin & E.M. Silva (Eds. ), Critical voices in school reform (pp. 11-30). London: Routledge Falmer. Silva, E.M. & Rubin, B.C. (2003). Introduction: Missing voices: Listening to students’ experiences with school reform. In B.C. Rubin & E.M. Silva (Eds. ), Critical voices in school reform (pp. 1-7). London: Routledge Falmer. Simonson, B., Fairbanks, S., Briesch, A., Myers, D., & Sugai, G. (2008). 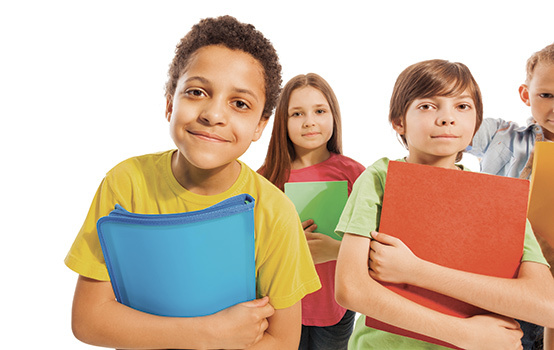 Evidence-based practices in classroom management: Considerations for research to practice. Education and Treatment of Children, 31 (3), 351-380. Tough, P. (2011, February 14). What if the secret to success is failure? The New York Times Magazine. Tough, P. (2012). How children succeed. New York, NY: Houghton Mifflin Harcourt. Weissberg, R.P., Durlak, J.A., Domitrovich, C.E., & Gullotta, T.P. (2015). Social-emotional learning: Past, present, and future. In J.A. Durlak, C.E. Domitrovich, R.P. Weissberg, T.P. Gullotta (Eds. ), Handbook of social and emotional learning: Research and practice (pp. 3-19). New York, NY: The Guilford Press. Wentzel, K. (1993). Does being good make the grade? Social behavior and academic competence in middle school. Journal of Educational Psychology, 85 (2), 357-364. Citation: Soutter, M. (2019). Unintended lessons of SEL programs. Phi Delta Kappan, 100  (5), 59-62. MADORA SOUTTER (soutter@bu.edu) is an instructor in the Wheelock College of Education at Boston University, Boston, Mass. excellent. required reading for all educators.